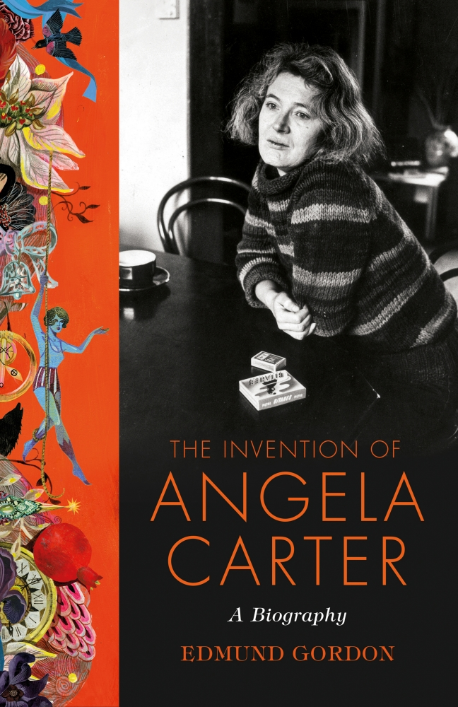 Widely acknowledged as one of the most important English writers of the last century, Angela Carter’s work stands out for its bawdiness and linguistic zest, its hospitality to the fantastical and the absurd, and its extraordinary inventiveness and range. Her life was as vigorously modern and unconventional as anything in her fiction. This is the story of how Angela Carter invented herself – as a new kind of woman and a new kind of writer – and how she came to write such seductive and distinctive masterworks as The Bloody Chamber, Nights at the Circus and Wise Children. Edmund Gordon has followed in Angela Carter’s footsteps – travelling to the places she lived in Britain, Japan and the USA – to uncover a life rich in adventure and incident. With unrestricted access to her manuscripts, letters and journals, and informed by interviews with Carter’s friends and family, this masterful biography offers an unrivalled portrait of one of our most dazzlingly original writers. Edmund Gordon’s biography, The Invention of Angela Carter is published by Chatto and Windus on October 13. The question of Angela Carter’s literary standing, both during her lifetime and since her death at the height of her powers in 1992, is not easily settled. She arrived with a bang: her first two novels, Shadow Dance (1966) and The Magic Toyshop (1967), with their electrifying prose, imaginative wildness and dark sexuality, established her as a powerful new voice in British fiction, a writer who from the start excited both admiration and unease. She went on to write or compile some 15 more books, won a prize or two, wrote a great deal of journalism and established herself as an original, unpredictable essayist and critic. Today, she is taught in schools and colleges around the world; critical studies and theses proliferate. Most of her work is in print. She has influential admirers: a new edition of her poetry appeared at the end of last year, presented by Rosemary Hill, and Christopher Frayling has recently published a book of essays built around an account of their friendship and shared interest in vampires. Now comes the first full and authorised biography, based on complete access to her personal and professional archive and help from family and friends. From the start, Edmund Gordon presents himself as a biographer with a mission: to rescue Angela Carter from a carapace of misconceptions and myths. Since her death at the age of 51, he maintains, she has been venerated for the wrong reasons, regarded by academics and feminist theoreticians as a white witch of preternatural wisdom, her artistic genius muffled and misunderstood. The implication is that she has been more studied than enjoyed.